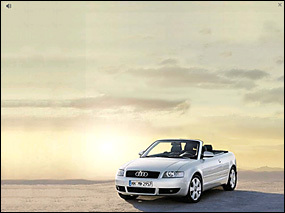 The Audi Cabrio website embraces a 100% emotional point of view with the sun as one of the main participants. The experience connects the creative concept together with a surprising navigation that displays an "alive" image gallery, sensible to the passing of time and the movements, bringing it to the extreme of the concept of light and heat. 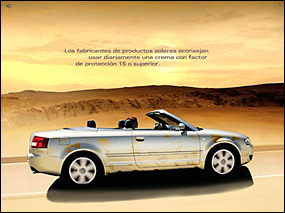 A example of this is what happens each time the user moves his cursor towards the sun. 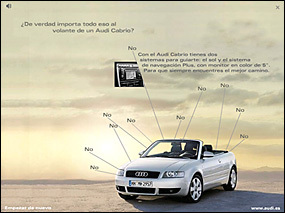 This site intends to bring out emotions in the user according to the aesthetic and the uniqueness of this car, being one of the most beautiful of convertibles.